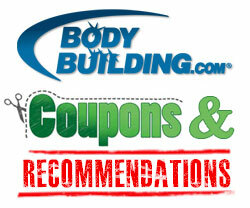 HMB is a less-mentioned supplement but one that is definitely worth looking into. HMB is known to increase muscle and strength gains significantly while decreasing fat at the same time. That is the perfect combination of benefits from a bodybuilding supplement, so let’s see how strong the evidence really is. From 15 studies on HMB in relation to muscle, strength, power and body fat written over the past 18 years, 67% of the studies were positive (very positive, in fact) while 33% reported no effects. So while the research is not completely in agreement, a significant portion of it is positive about HMB. Note: This study didn’t measure body fat, but the following row is from another average study. As you can see from the results, body fat, strength and hypertrophy gains were improved very impressively. I have not seen another supplement with such strong results. It gets these results by decreasing muscle breakdown after exercise and increasing protein synthesis. Combine these two factors and you have more net muscle growth. Below is another example of HMB’s affect on body fat. It shows two different body fat measurement techniques on HMB versus a placebo. Can I Combine It With Anything? 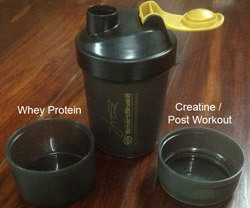 HMB and Creatine are a perfect match for each other since their effects are cumulative. The cumulative effect is extremely effective for hypertrophy, and moderately effective for strength as you can see in the chart below. Creatine also has lots of evidence behind it (Which Supplements Are Effective? ), so it is a good partner for HMB. HMB is about the same cost per day as whey protein, so it’s moderately priced at $1 per day for capsules Creatine is very cheap at about $0.10 per day. Are Intra Workout Supplements Worth It? No Responses to "Does HMB Work?"